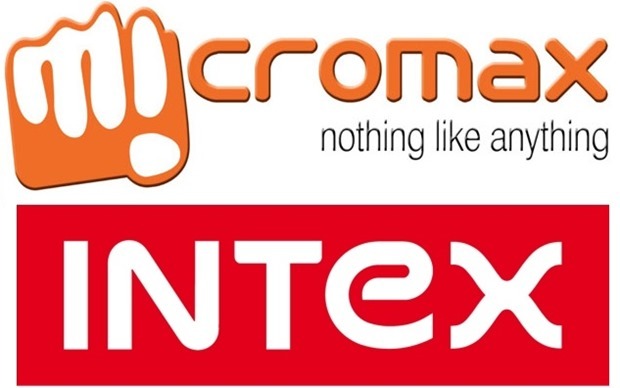 As per data released by IDC, Intex has beaten Micromax to become India’s largest mobile handset company. For the quarter spanning July-September, 2015, Intex has sold 8.76 million handsets (which includes both smartphones and feature phones); compared to 8.6 million handsets sold by Micromax. However, this report has sparked an intense fight between Intex and Micromax, as both are claiming this top spot. Overall, Intex witnessed an impressive growth of 9.4% compared to last year, while Micromax had 6.4% growth. YU series from Micromax was specially mentioned by IDC as a leading player in 4G niche; while Intex experienced sharp increase in sub-$50 handsets, and entry level 3G handsets. Samsung with 13.1% market share has again grabbed the top position for mobiles in India. IDC report for the last quarter also highlights one very interesting fact: 4G handsets are leading the charge now. Infact, 1 of out of 3 smartphones sold during July-September was a 4G handset! Compared the last year, 47G enabled handsets have experienced a three-fold jump in sales, with Samsung reigning as the biggest player in this niche. Majority of smartphones sold in India are having a 5-inch+ display, enabled with 4G and priced less than $200 (Rs 13,000). As per research firm CLSA, mobile data spend by Indian consumers will treble to $14 billion in the next 2 years; and this massive increase would be solely driver by 4G usage. Hence, the rampant sale of 4G enabled handsets in India is quite obvious – users are now anticipating some high end 4G usage, as both Airtel and Reliance Jio are all set to roll out their services next month onwards. In case you have bought a Micromax or Intex handset recently, then do share your experiences about their usage, by commenting right here! "Intex Has Just Became Biggest Indian Mobile Handset Company; But Micromax Refutes This Claim", 5 out of 5 based on 1 ratings. Airtel Offers Intex Aqua LIONS N1 at Rs. 1,649; Will Jio Respond Now?